Gluten-Free Living > Tips > What’s an easy dinner I can put together tonight? What’s an easy dinner I can put together tonight? 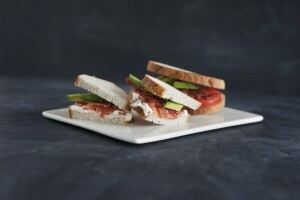 Consider the Bacon, Avacado and Tomato Club. The BLT is a classic lunch staple while avocado toast has become a popular breakfast item. This recipe is a wonderful combination of the two, perfect for a quick, simple and filling dinner for the family.